Stress relief for everyone. All of us experience stress from time to time, however, when our stress load accumulates to a point where we cannot manage it the normal way, we need to employ special methods. It is important to learn to effectively cope with stress and restore internal physiological and psychological balance and so improve our well-being. Below is a list of effective ways to relieve stress, and you can try out any or all to see what works for you. Why do we need to relieve stress? 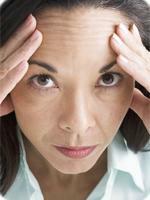 Stress is one of the leading factors in health problems. Do you have such a busy life that you feel guilty if you take time to unwind and relax? Please, stop feeling guilty and realize that relaxation is very important to your health. If you continue to work too hard and let stress take over your life, your health will suffer and you won’t be able to take care of yourself or your family. Regular relaxation not only relieves stress, but restores your vital forces, lowers your physical and psychological tension and prevents various psycho-emotional disorders. Proper relaxation will also help you to normalize heart rhythm, lower blood pressure, eliminate headaches, improve attention and much more. What helps to release tension? Cultivate a positive attitude. It is very difficult to make the right choices while you are under the influence of stress factors. Having a positive attitude gives you a big advantage when making life choices. Use self-control. Indulging in common bad habits like overeating or excessive alcohol consumption may give you temporary stress relief, but in the long run this will cause you more problems as well as more stress. Practice self-control and choose healthy ways to cope with stress. Avoid dwelling on the things that cause you stress. If you think constantly about the things that bother you, you will never get rid of your stress – it will simply be magnified. When your problems pop into your mind, consciously switch your thoughts to something positive like a hobby you enjoy, or a wonderful vacation you took, or anything that has made you happy. This takes practice, but is worth the work. 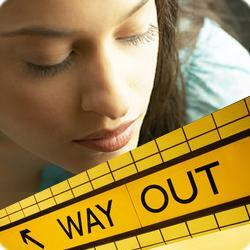 These days biofeedback has become a very popular way to manage stress. Originally biofeedback therapy was available only as a part of professional help. Now biofeedback techniques have become available in the form of commercially available tools for personal care. Muscular relaxation training is an example of a stress management technique based on biofeedback. Using a special device, myogram signal reflecting electrical activity of specific muscles is continuously measured. At the same time, specific suggestive thoughts are being induced aimed at relaxing muscles. Muscle relaxation causes lowering muscular tonus and thus decreases myographic activity. The myogram level is displayed to the subject along with continuously giving suggestive thoughts. Thus the subject establishes a feedback leading to deeper muscular relaxation. Another method of biofeedback training, based on deep rhythmic breathing, has become very popular among stress management techniques. Deep-paced breathing causes the heart rate to fluctuate in high coherence with breathing pace. This method involves a physiological mechanism of baroreflex playing a key role in body adaptation and achieving its internal homeostasis. Heart rate is being continuously measured and displayed during a training session. A visual or audio metronome is presented to trainee to provide the right breathing pace. The influence of the paced breathing on heart rhythm is evaluated using a special mathematical algorithm and then presented to establish a biofeedback loop. One of the immediate effects of this training is stress relief and restoring the body’s inner balance. Regular use of this training may cause other positive effects such as lowering blood pressure, normalizing metabolic processes and chemical balance, strengthening the immune system and many more.